I write this as I cruise at 32,000 feet for over 10 hours. This is my last Turkey post for a little while; though I’m certain I’ll revisit some other stories of these adventures in future writings. Where to begin? The past 10 days have brought forth such wonderful and rich experiences. Turkey really is the most culturally vibrant culture and land in all of Europe. I’ve seen; touched; tasted; smelled; and felt a lot of what Turkey’s Antalya region has to offer. I also had a highly productive and motivating week working with some of the most prolific thinkers in my field. So many relationships formed that opened doors for collaboration and partnership with individuals and institutions around the world. So let me start by saying that I am grateful to have had the opportunity to live this experience, to fully live these days of my life. The conference I participated in this week involved one-full day that was dedicated to a technical tour. 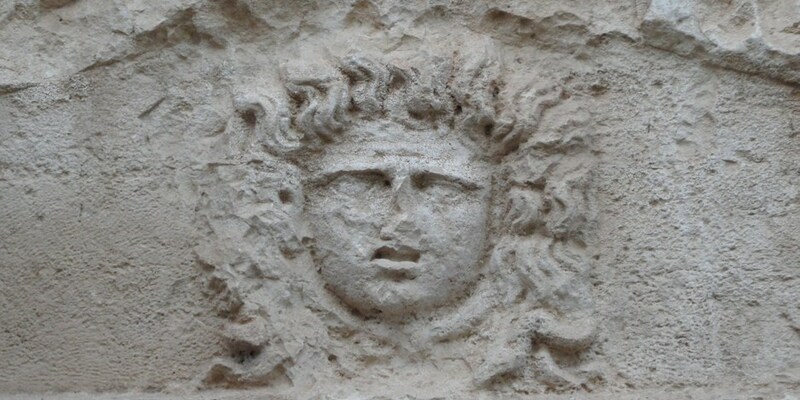 Turkey holds some of the most ancient history of humanity on our planet. This means it has also witnessed the rise and fall of many great civilizations – Greeks, Rhodesians, Romans, and beyond. Yet, so much remains unknown about their successes and failures that ultimately resulted in their demise. It is a land where ancient mythology, fables, fairytales, and a pinch of fact are all tossed together. And when you are within this mysterious and breathtaking landscape you can’t help but ask the question, what secrets and lessons would the people from these ancient civilizations want us to know? Our world is experiencing a tremendous boom in conflict and in change, taking on so many different forms. Violent wars, drought & famine, loud voices echoed millions demanding freedom & human rights, and violently oppressive regimes resisting justice – and a surge in some of the perilous natural disasters we have experienced in modern history. I simply can’t go on writing without raising the question to all of us – What can we learn from our ancient ancestors that can allow our humanity to rise out of this complex & pervasive turmoil? What wisdom can be learn from them that will prevent our modern civilization from falling? I don’t know if any one of us can fully answer these difficult questions. But as a community we must begin to tackle them for our own survival – and to nurture a better world for future generations. So what does this have to do with Turkey? Well, I’d like to share the story of one place that we visited on the technical tour, the sunken city of Kekova. Nestled along the edge of a coastal island that pours into the Mediterranean Sea is the City of Kekova. Much remains unknown about the history of the people and this island city. It is an ancient Roman city that likely had pre-Roman origins. However so much of the city is sunken beneath the turquoise blue Mediterranean Sea, artifacts and architecture corroded by the salty sea water, that much of its history remains a mystery. What is known is that Kekova experienced an earthquake at some point during the Roman era, and half of the city literally fell in the ocean. The edge of the island is characterized by old stone walls and stairs leading into the Sea. Under the water you can see ancient building structures – columns, walls, archways. The structure of the stone walls and placement of the stairs suggests that these are the remnants of homes to people long forgotten. 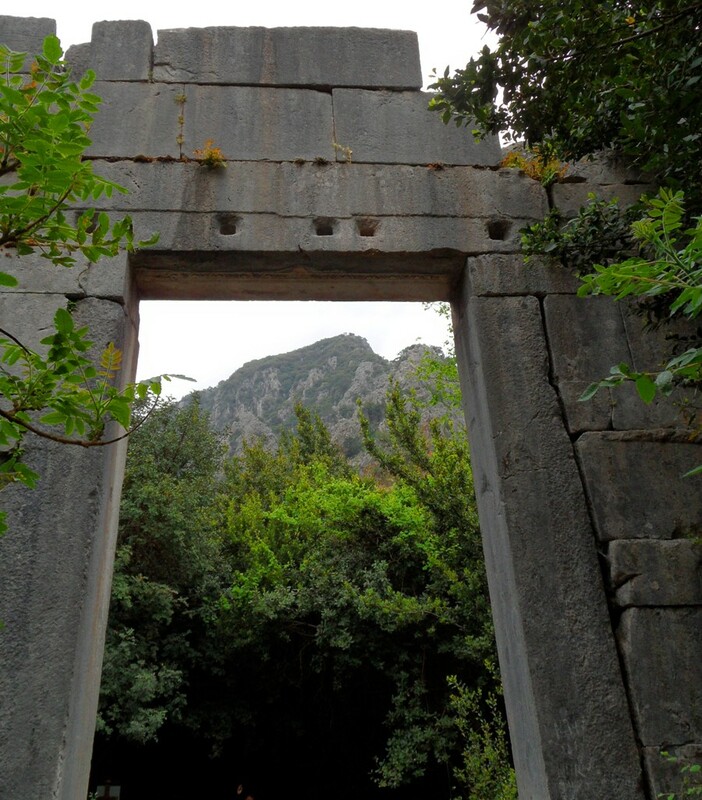 The earthquake that occurred in the city of Kekova essentially brought about the end of one large Roman city. I try but I can’t quite hear the spirits of these lost people. Continuing on we also visited another island that illustrates layers upon layers of history. 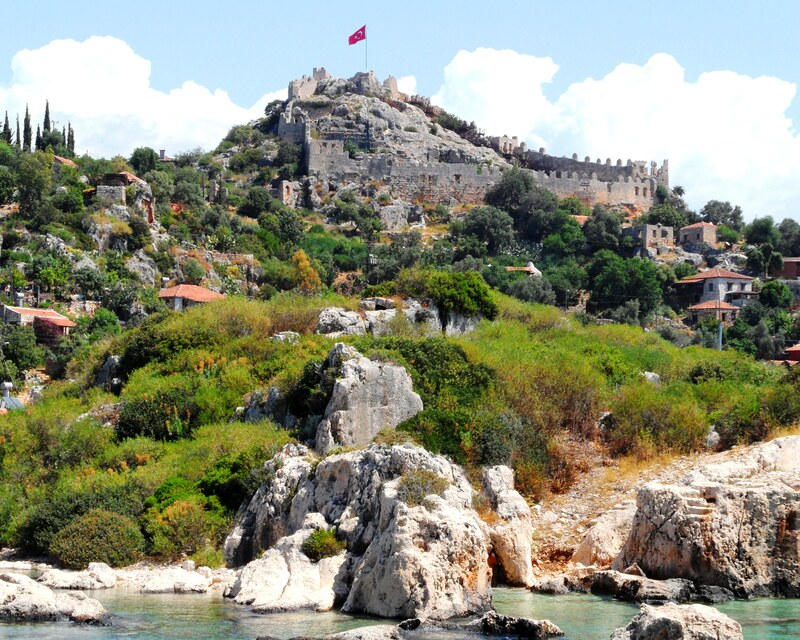 It is home to a vast area of ancient sarcophaguses, a castle from both the Roman era & Middle Ages that was later used by the Ottomans, and a modern island village. I spent a few hours wandering around this island experiencing the old and new with a couple of my colleagues. One of them was a Turk with deep knowledge of Turkey’s ancient history and mythology. We entered the village by foot, walking up narrow staircase from the sea, as there are no roads in these little island villages. As we reached the summit ridge of the island we found ourselves amongst a vast panorama of ancient sarcophaguses from the Hellenistic and Roman eras. There they were, still standing above the earth along the summit ridge, reaching for the heavens. These sarcophaguses are stone containers that the ancient civilizations built to place the remains of the deceased. An intriguing little legend I learned along the way is that these ancient containers were carefully designed to look like upside down boats. Legend has it that these civilizations believed that the apocalypse would come in some distant time in the form of a major flood. And when it came, the sarcophaguses would simply sail out into the Sea where they would be protected in the stone encasings and still be close to God. Little did the people know that pirates would come later and break through the stone containers that protected the spirits of their deceased, searching for jewelry and other valuable objects. What a fascinating legend! As I walked on I came across one incredible sarcophagus near to a large boulder. On the boulder there was a brown land tortoise basking in the warm sun. Could it be the reincarnate spirit of whoever was once ‘buried’ in this ancient boat-like stone container? 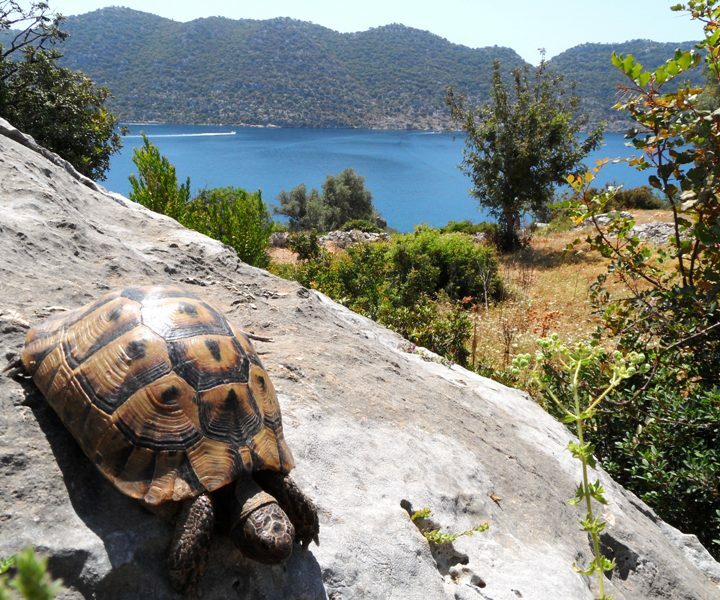 I will never know, but I did enjoy a few moments sharing a seat with the tortoise as we both admired a breathtaking panorama of Kekova and beyond. I am so grateful for having had met and talked with people willing to share with me the ancient legends of this rich land. I am grateful for the opportunity to have lived these days here. So many questions. So many possibilities. My time in Turkey has come to an end. And I am ready to go home to my family and my work. This provocative landscape will forever be in heart. It has brought me a deeper perspective of the challenges that I have dedicated by life to addressing. And beyond these challenges, it has breathed a little bit of a new life and culture into my soul. I am grateful for all Turkey has taught me – it’s wonderful people, history, spirituality, myth & legend, fresh & clean cuisine, and powerful new ideas. Teşekkür ederim! I promised all of my meat loving friends that I would explore how the Turks make meat divine. It took me nearly the entire trip here to give it my attention, and well I am glad that I did. This morning I had the final conference sessions, and as soon as they got out off I went wandering the streets of Antalya. I wove through all of the downtown neihborhoods and found that they come to life on the weekend. The parks were filled with Turks of all ages doing everything you can think of -skateboarding, playing backgammon, napping on the grass, biking, playing music, drinking tea from little tulip shaped glasses, and cooking kebab on small charcoal grills. The streets were equally alive. Saturday is shopping day for most and Antalya has a myriad of large bazaars selling cloths, spices, textiles, jewelry, shoemakers – you name it, they have a shop for it. Some shops are nothing more than a table with a bunch of trinkets sprawled out. Others are groupings of little one room shops and traditional restaurants are intermingled in this sea of micro-commerce. Many of the shops are run by families, which to me is very neat. I also found a small narrow street that consisted of 10 or so little enclosed booths. They served as the workshops and storefronts for Antalya’s shoemakers. I’ve never seen so many shoemakers, all producing shoes on customer order only. You visit one of the shoemakers and tell him what kind of shoes you want, and he goes to work making your shoes. Carefully cutting the leather, stitching the sole to the show, sewing on appliques. I like the idea of bringing back these types of micro-enterprises and trades. Now onto today’s foodie experience. After a few of hours weaving around the sunny streets of Antalya I found an area where there were several traditional kebab restaurants. The doner kabab meat rotates on a large vertical cooking device, it continually cooks over low heat that brings to life the aromatics of the spices laced within the meat & natural juices. This seemed like the perfect opportunity to give Turkish meat a try – and I am glad I did. All of the restaurants in this area were filled only with local Turks, so I put my bet that this would be one of the best places. I took a seat at a table outside, dining al fresco is the best way to go in Antalya. The waiter kindly gave me the menu, all in Turkish yet again! But this time the Turkish names & descriptions were accompanied by photographs of each dish. This was most helpful. I gave my broken Turkish a whirl and placed my order with the waiter. Here you have to order using portion sizes in grams. Given how large servings here are, I went for the small portion (100 grams). And out it came 20 minutes later – a heaping plate of what I call Turkish Iskender Delight. 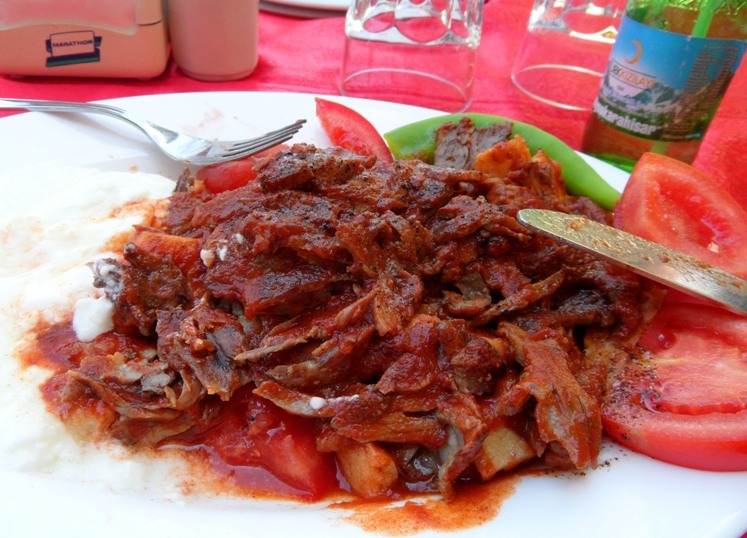 Thin slices of the doner kebab meat cooked in an aromatic sauce of tomatoes, onions, and spices. Served up on a bed of cubed pita bread, all the saucy doner kebab meat drenched the pita cubes with its delicious juice. It was served with four thick slices of sweet tomatoes, a big spoonful of natural plain yogurt, and one fresh hot pepper. The meat was so flavorful and juicy. The yogurt gave the dish a cooling sensation to balance the crisp hot pepper pieces I ate with each bite of donor kebab meat. I was also divine – like most all food in Turkey so far. After I finished my meal, I went inside and spoke with the chef for a few minutes. He was busy chopping up fresh herbs and cucumber. I do believe this meal of Turkish Iskender Delight was cooked with love! My only “complaint” – even the small portion was too big for one person. An hour after this wonderous foodie experience I went for a 5k run along the Mediterranean Sea! Now back to eating fresh & clean. I’ve been in Turkey for 5 full days now. And I am happy to say that I have 5 more days remaining here – except that I will be busy working most of the time, which has also proved very inspiring. But this blog is about traveling and life, not about my work. So back to Turkey and all its wonderous peculiarities! I’ve established a kind of daily routine here that I really enjoy. I woke-up around 5:30am and spent some time catching-up on email and then headed out for a sunrise run. It felt so good to jog along the Mediterranean Sea at sunrise, looking out at the mist hanging above the water and a few distant sailboats on the horizon. The roads near my hotel are ancient, from the Roman Era, and I pass the ruins of an old Mosque from the Middle ages before heading down to the edge of the Sea. Then there is another ancient Mosque from the 13th Century CE – it is a beautiful house of devotion even with all its signs of age and simplicity. 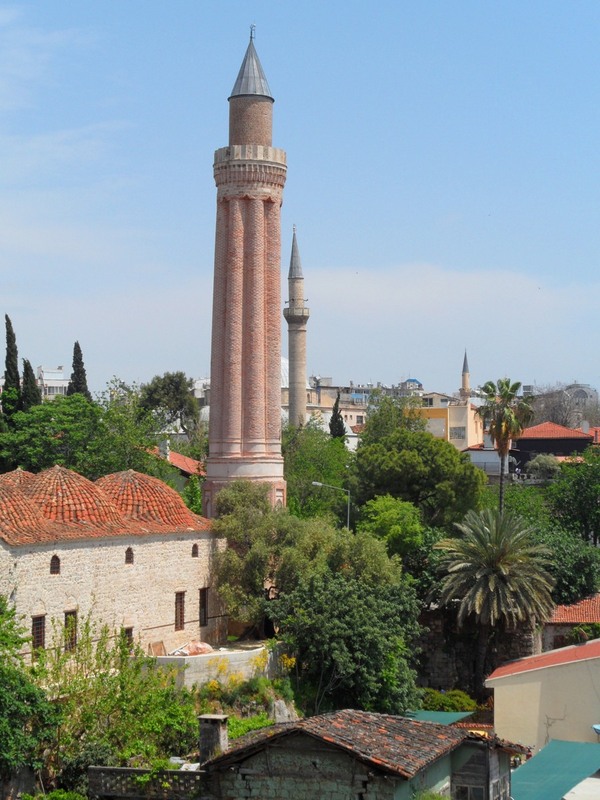 The minaret (the large tower where the 5 daily prayers are announced daily) was made of old stone and had a beautiful scalloped structure. The domes of the mosque’s main building were made with a terra cotta roof. Simple really is beautiful. From one outlook you can see this mosque and the towering minarets of 2 other mosques in the distance. It is a profound view. All of the roads are really just for pedestrians here, which suited me perfectly. I jogged along a nice road along the Coast that runs through a very large tree covered park next to the regional soccer stadium. I enjoyed passing by all the locals, mostly proprietors of little shops opening up for the day. I’ve been practicing my Turkish every free moment I get, which is not much, but now I am comfortable with the basic phrases. It is customary here to say hello and good morning to everyone you see – strangers and all. And I LOVE this about Turkish culture. It was one of the things I learned, and loved, when living in Costa Rica. Except here you say “Salam” which is the equivalent for “hello” – except that is actually means “Peace be with you”. What a wonderful salutation! I do think the world would be a better place simply if we all greeted each other with such kind words. It would be such a simple part of our daily lives that I think would change our outlook on life and others. And in these morning jogs and walks I’ve picked-up this cultural nuance and ensure I give my respectable greetings. With that, i’ve been surprised at how respectable men are to women here, and how well I am treated. But I’ll share more on that in my next blog. All this was just great food for thought to start the morning! Then there was a delightful foodie experience this morning. Breakfast. When I got back to the hotel breakfast was just about ready. It is buffet style – as the Turks love buffets! I’ve befriended the chef at the hotel restaurant and he has graciously educated me on Turkish cuisine, how the dishes are cooked and which spices to use for what, etc. This morning the buffet included bowels of fresh herbs and a variety of greens that looked so fresh I couldn’t resist – red leaf lettuce, rocket, lemon arugula, fresh dill, mint & parsley. It’s a salad kind of morning! And there I created a masterpiece. A tower of vibrant leafy greens topped with aromatic spices, crumbled feta, and fresh lemon squeezed lemon. All this paired with a hard boiled egg, fresh cucumber slices, a dollop of natural yogurt, and fresh tomatoes of course. My whole body felt good after this clean and hearty breakfast. I want to start having salad breakfasts a couple days a week. If you haven’t tried a salad breakfast like this before, it’s not too late to give it a try. And with summer just around the corner, tis the season to grow all these delicious greens and fresh veggies. Add a little protein and you’ll have an energy packed day. A lot of people wonder where I get my energy from, well I think God blessed me with a little extra energy but I also try to feed that energy with things like fresh greens and clean foods. Now I’m not always fresh and clean like this but most of the time it works out. Now if this breakfast, doesn’t make your mouth water I don’t know what to say. Bon Apettit! Enough of my love for food for a few moments… Let’s talk about my deepest passion in life. Farming. Yes, I am a Washingtonian, living in a cement jungle and I love farming. Nothing is better to me than the cathartic feeling that one experiences when working with the Earth. The dirty sweat that pours down my face and into my eyes, and the salty taste when it hits my lips. It’s the best feeling of truly hard & good work. I feel such a deep sense of worthiness when I plant seeds in a vegetable garden, care for the mango trees, turn the stinky compost, give the ducks grain & love, harvest the tomatoes, and milk the goats. I’ve always held the connection between the farm, the Earth, and my food. I like to know that there is someone with an equal love for God’s bounty nurturing the food on my table – which is probably why I’ve been a champion for “organic agriculture” since I was 13-14 years old. Yes, I did know what organic was then and I even (however ‘annoying’ it was) insisted on educating my parents about organic agriculture, mad cow disease before the outbreak occurred, health implications of persistent organic compounds found in conventionally grown produce, and everything related in-between. I guess this whole farming thing – working the land, connecting with the earth, living sustainably for future generation – is just a big part of who I am. So, what does all this have to do with Turkey and traveling? Well it’s the preface for how I will share with you my foodie experiences in this blog. And the past few days in Turkey have served as a prime opportunity to give you my initial Turkey Food Panorama. I’ve been so impressed by the Turkish customs & culture around food and farming. In every restaurant there are many dishes prepared only with fresh vegetables and many options perfectly suited for flexible vegetarians (I’m not talking about Vegans here). I’m also astounded at how ‘victory’ gardens are a de facto cultural norm here. Everyone with a piece of land has a vegetable garden. I see baby aubergine (eggplants) growing on little strips of Earth near parking lots. I see large pots (often old buckets & milk cartons reused) filled with soil where tomatoes, cucumbers & mint explode with life. 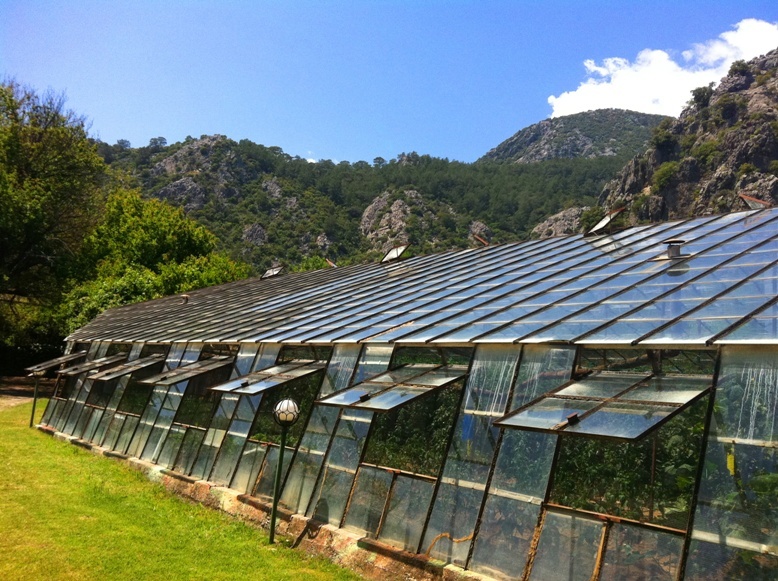 And in the country side, nearly everyone has a small greenhouses filled with an abundance of fresh veggies – some greenhouses are made with clear plastic sheeting while others are glass structures. 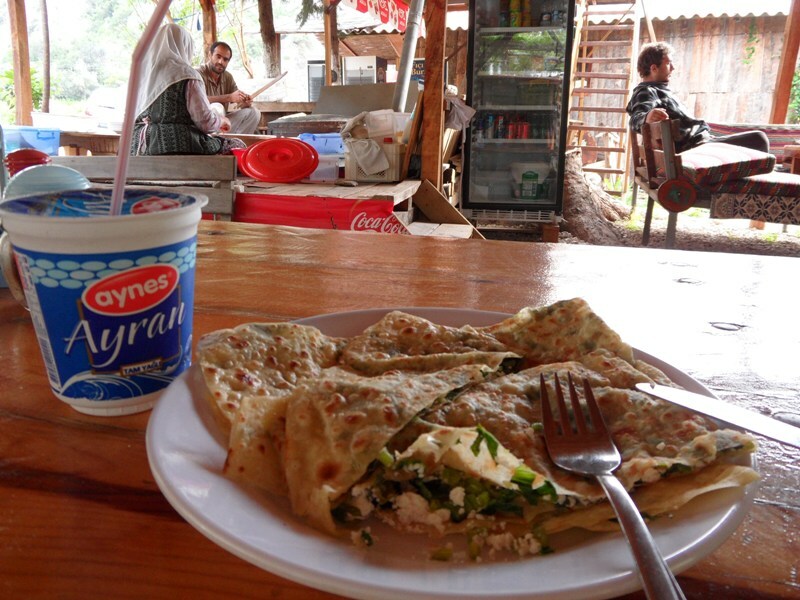 Many people also have a few goats or a cow for milk production – yogurt & fresh cheese are staples in the Turkish diet. On my journey so far, I’ve explored this custom quite a bit in talking with locals – in my very broken Turkish and all! They’ve shared with me that they too love fresh food. And that organic agriculture is simply just “how it is done” in Turkey. They don’t want to dirty their streams, rivers, & ocean with pesticides and the like. They know the implications of such contamination, and so they are organic. They didn’t have to become organic. Now I don’t want to give you a false impression here – I am simply talking about the same household gardens, I am not talking about any commercial agriculture in Turkey. What have all these fresh veggies and little gardens meant for me? Well I’ve wanted to taste and savor them all! Through this food journey in Turkey, I’ve reunited with the vegetarian in me. I don’t know if I’ll ever revert to being a loyal and stubborn vegetarian again, but I’m thinking I just may work to focus on living a largely vegetarian lifestyle that still allows for cultural flexibility. I love the ripe plump juicy tomatoes I eat 3 times a day here. I love the fresh mint & arugula in my salad. I love the stuffed eggplant. And did I mention how amazing the cheeses are? And the apricot preserves. And the fresh pomegranate juice. 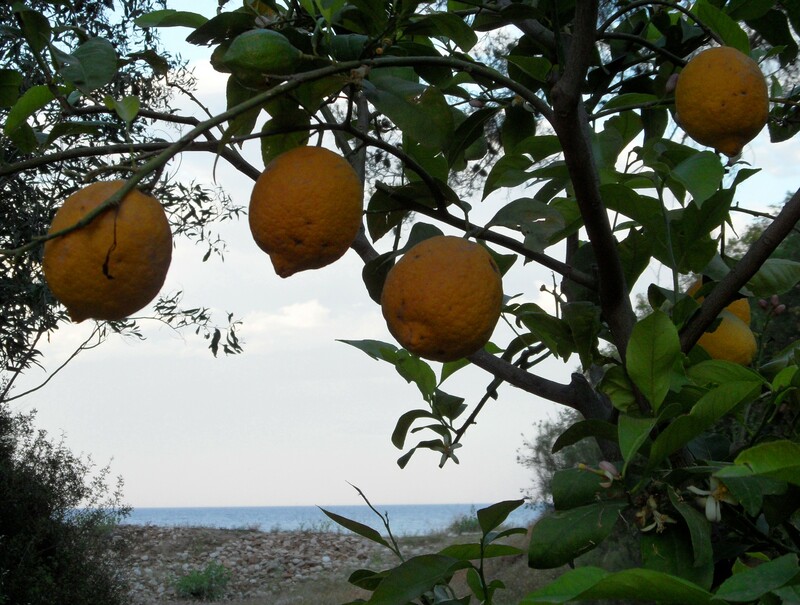 Then there are the lemon groves that dotted the coastline in Cirali. Well they are magnificent. And their blossoms are intoxicating. I also loved the fresh plentiful fresh lemon wedges served with all of my salads and fish. They are all divine! These are the foods of the ancient Greek & Roman Gods for sure! Now, I don’t want to turn off my meat loving friend vis-à-vis this blog, so as a fair heads-up I will talk about the meat dishes in a future blog. Bet let’s stick with my food experience thus far. I love fresh fish. And it’s the only “meat”, besides eggs, that I have eaten here. Then today, I experienced something almost magical, but really it was just daily life in Turkey. I was relaxing on the beach, taking in my last few hours bathing in the Mediterranean and sunshine. An older woman, maybe in her early to late 70s, came down to the edge of the water about 8 feet away from me. She was wearing sandals, long pants, a flowery head scarf, and had a plastic bag in-hand. 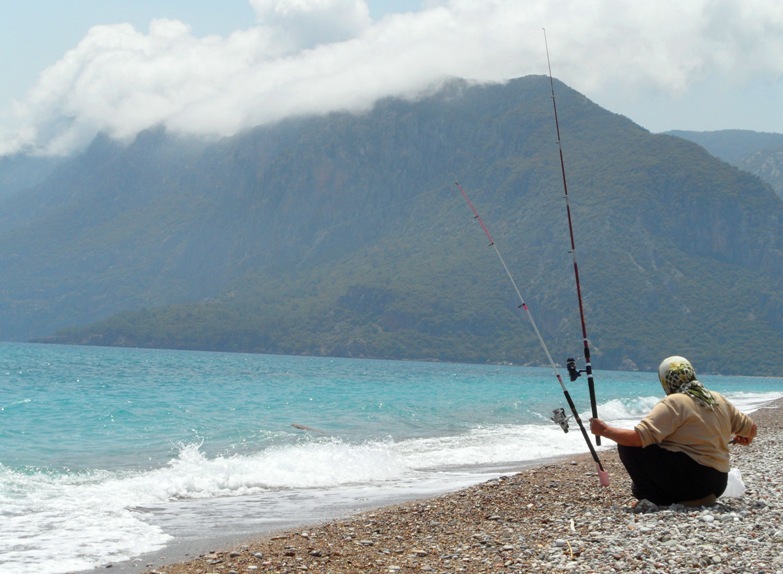 She kneeled down into the pebbly shoreline and unpacked her bag – 2 fishing poles and a sealed container with her bait. She carefully set-up her fishing poles, baited the hooks, and with great finesse cast them into the sea. She (and I from a distance) keenly watched the tip of the poles for any indication of a fish making move. It was really beautiful watching her fish. I hoped that the fish I had eaten had been caught with such care and love. After about 20 minutes, a man and woman with their two young children came down to the sea. They all sat down around the old woman and were talking. The woman, I believed it was her daughter, was talking to the old woman with kindness and sincerity. I saw sadness come over the old woman’s face, and two tears fell from her left eye. The younger woman gently touched the side of the old woman’s face and her thumb rolled over the crevice under her eye lightly drying the tears. It was a very endearing and powerful moment. It reminded me of how similar life is no matter how different our cultures and history may be. I don’t know what happened exactly but they all continued to talk while the old woman fished. The conversation got more spirited and light; the young girl (about 2 years old) was laughing and throwing pebbles into the sea. I think the little girl’s young & vibrant spirit somehow reminded the old woman that everything would be okay, and gave her a purpose to keep on fishing. 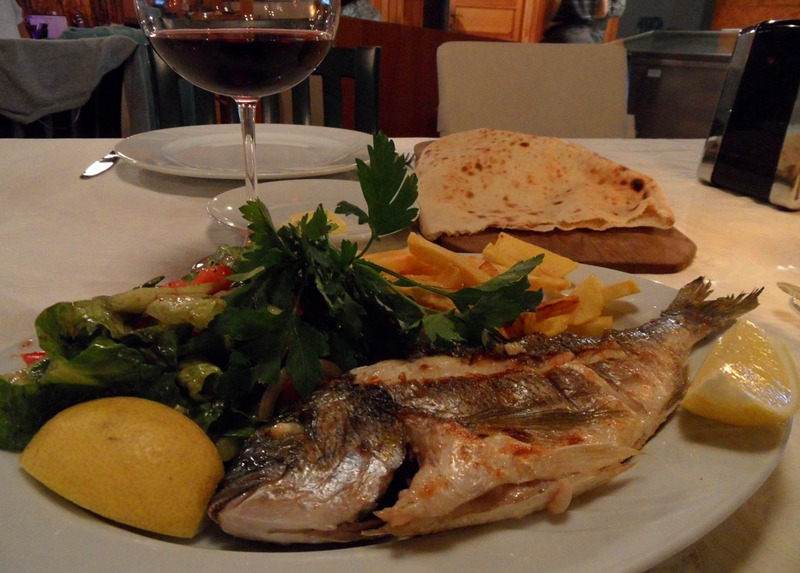 Later on in the evening I enjoyed a delicious dinner of grilled Sea Bream. When I inquired to the waiter about what type of fresh fish they have, he insisted that they have many. And that led to me getting invited to go to the kitchen. The waiter showed me the chilled box of fish and I got to choose my own fish for dinner. And to top it off I got to see ‘inside’ a traditional Turkish kitchen which is very cool. Now choosing my fish is not as good as eating the fish that you catch, but it was close and just a fun part of this foodie experience. The chef rubbed some spices and sea salt on the body of the Sea Bream and laid him out on a hot grill. Just 5 minutes on each side and he was perfection. My Sea Bream was served up with a fresh salad doused with typical Turkish herbs, a few cips, 2 juicy lemon wedges, and a fresh pillowing pita hot out of the wood fired oven. And I can’t forget the glass of red wine. This was dinner fit for a King! And there it was before me. 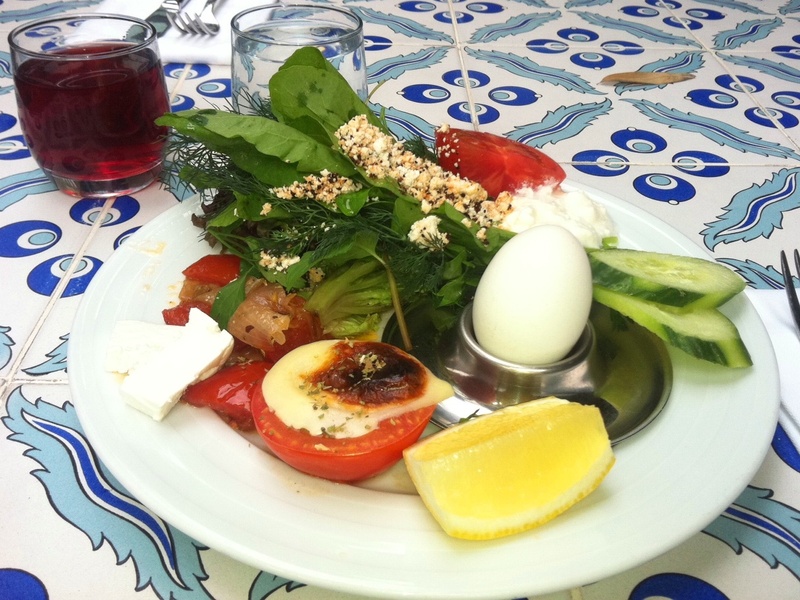 The perfect balance of all the things I love about food and farming – under the Turkey sun! Now tell me, do you love food? Today I headed down the beach by foot towards the Lycian Way, a series of trails that have been the “roads” of ancient civilizations dating back earlier than 350 BCE (pre-Hellenistic era). Just a few kilometers past Cirali is a small river with crystal clear water flowing from a valley nestled within the Taurus Mountains, which are mostly covered in a blanket of pine trees & rock formations. This whirling little stream, that is seemingly uncontaminated as there does not appear to be any discharge of grey or black water or any garbage, flows out into the Mediterranean Sea. The mouth of this little river is the entrance into the valley, and the ancient lost city of Olympos. 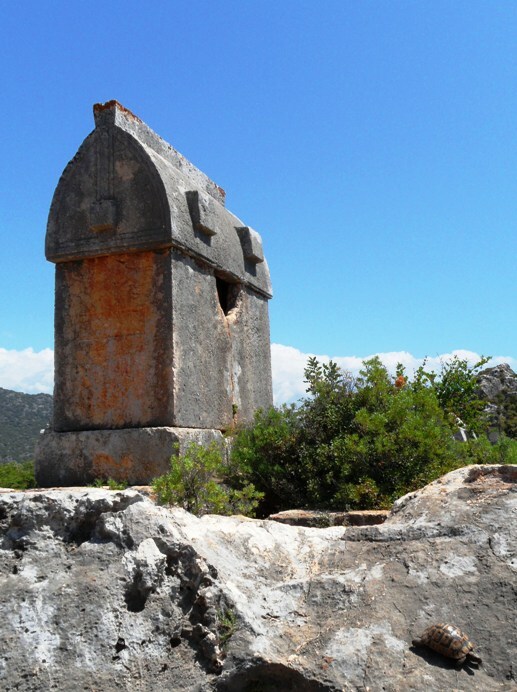 Little was known, and much still unknown, about the city of Olympos until about 1990 when the government of Turkey began to explore. Along the banks of the river are the remnants of civilizations lost over the past 3,000 years – and still granite arches stand tall and tombs remain untouched. Young tree saplings, ferns, and vines have managed to find elements of life (water, soil, & sun) in the cracks and crevices of the ancient building blocks. The power of nature, in this case natural succession, is quite remarkable. As I meandered through the forest, I could hardly believe what was before more. On the ground lie pieces of fallen columns intricately carved with scrolls and other decorative design, all weathered by time and the elements. It could almost be a scene from an Indiana Jones movie, but it’s not – what lays before my eyes is real, I can touch it, feel it, and smell it. I stumbled by a pre-Hellenistic stone sarcophagus resting on the forest floor. It had a hole in the front of it, as most that are unearthed do, from grave robbers long ago. Maybe it was the pirates? Or the Greeks? Or the Romans? In these bits of unknown history lies the mystery. I continued on and found the ruins of one of the first Christian Churches (Byzantine) known in the region, and still this dated back to the 5th century CE. I walked along the “floor” inside this ancient house of worship and it came to life in my mind – these walls held a place of devotion for many people. I could envision people walking around the church, wearing sandles and simple clothing. And next thing I knew I found my way to a Roman Temple, and quite possibly even pre-Roman era. Hidden among trees and other flora, was the towering entrance way to this even more ancient spiritual place. This “temple” pre-dates nearly all known recorded history of religion. I couldn’t help but stop and marvel in its grandeur and intelligence. Yes, intelligence. The Romans, and pre-Romans, were truly masterful in how they cut, created, and assembled each of the massive marble blocks into solid structures. And their refined building skill actually reminded me of the precision and detail held by the ancient Mayas in Tikal (2000 BCE to 900 CE) and the Incas in Machu Piccho and other sites (400-1500 CE). 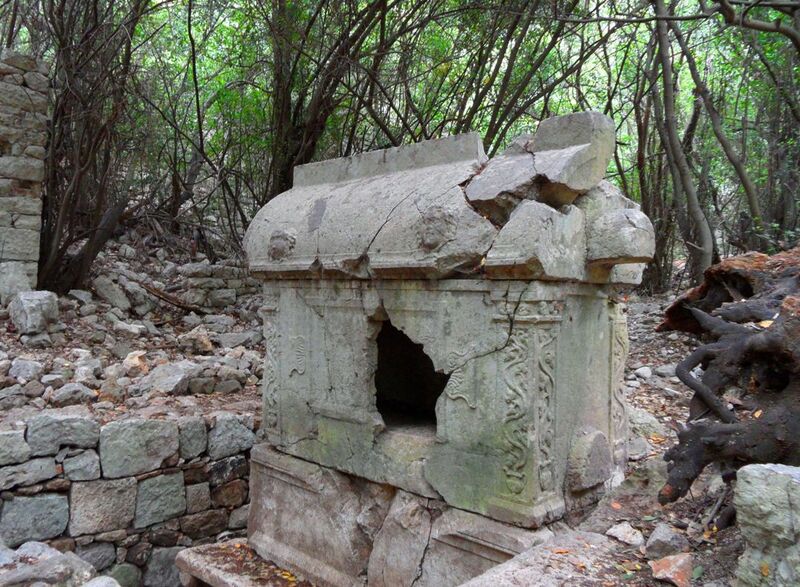 Could this temple be the house of Zeus – Master of Olympos? I will never know and that in itself is the magic in this place. 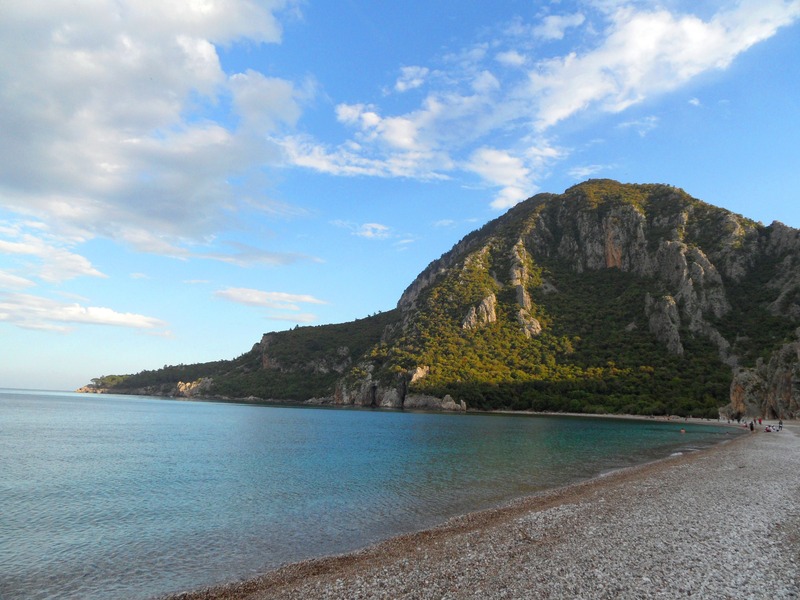 After several hours exploring Olympos and the Lycian Way I continued on wards into the “modern” village of Olympos. And to my surprise it was a haven for young Turkish teens escaping the cities for the weekend – in a very rustic way I might add. Along just one side of the small dirt road were a few tree houses, pansyiones, and basic traditional eateries – yes tree houses and how cool! much like the kind we build for our kids in our backyards. I crossed over the river by foot to check out the less accessible ruins and came across a lot of bright red poppies, croaking frogs, and a myriad of unearthed ruins. I couldn’t help but think that someday our modern cities that we know so well may somehow not withstand our civilization, or perhaps the opposite – that perhaps we will not withstand ourselves, and in effect will become lost cities to future civilizations. I picture history made in my own “backyard”, the Capital of the US – Washington DC. Much of our buildings are made of marble & granite, grand with architectural detail borrowed from the pre-Hellinistic era, Greeks and Romans alike. I do not see this in the near future, and even if I did, It is not necessarily a bad thing, afterall evolution is a natural process – much like succession in the forest. The real question is, what lessons will we ensure are carried forward from this life & era to the next? Realizing the sun was going to set in about one hour, I started to head back and stopped at one of the little huts serving fresh food and drinks. Realizing how little I’ve shared with you about the food so far, it’s about time I give you some detail. I stopped at a place serving Turkish tea and Gozleme. 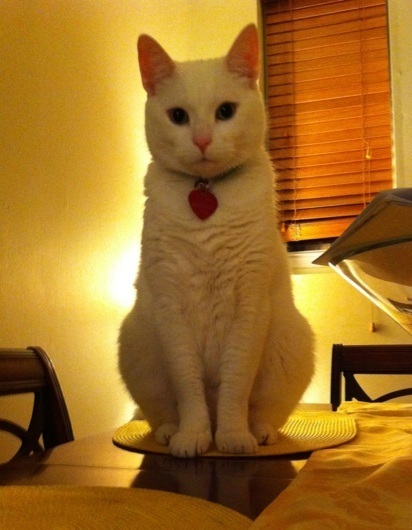 I sat at a small wooden table and before me was the kitchen. A wooden platform hosted a large dome-like metal cooking structure (I think it was heated with hot coals or something of the like), 2 wooden circle tablets, and 3 people – 2 women prepared the Gozleme dough and one male handled cooking it on the dome cooking structure. The two women, one in her 50s and the other one in her 70s or 80s, sat Indian style in front of the wooden circle tablets preparing the dough. One formed the dough into round balls while the other use a wooden stick to roll the dough out into perfectly-uniform paper thin pancakes. She carefully placed the filling of choice (in my case fresh spinach & feta cheese) on one half and then closed the extra thin pancake in half forming something resembling a quesadilla but only better. She then rolled this filled pancake up on the wooden stick and placed it on the metal dome cooking structure. 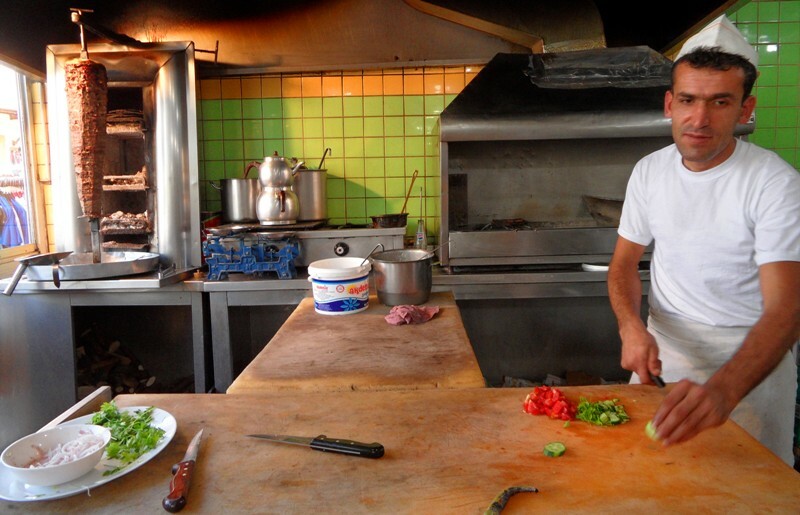 The man carefully watched my Gozleme cook for a few minutes on each side, turning it with a flat wood tool. He then cut it up into four piping hot pieces and vwalah! Divinity on a plate served with cold natural yogurt milk (Ayarn) to wash it down – another typical Turkish beverage – all for less than 5 bucks. What made it even better? Well from my seat I could see the family’s garden plot where all the lush spinach grew, alongside peppers and arugula, and their goats which they milked to produce the cheese. Truly and organically from farm to table. What made it modern? Well they had one refridgerator that kept the Ayarn and a few Coca Colas cold for its customers. You can’t ask for much more in a day’s journey! And well, here is my version of a modern-day Zeus. Equally grand in his own demeanor. Blessings to my animal kingdom at home. Now that I have officially spent 24 hours in Turkey, I can justifiably share with you the adventure over just the past few hours. 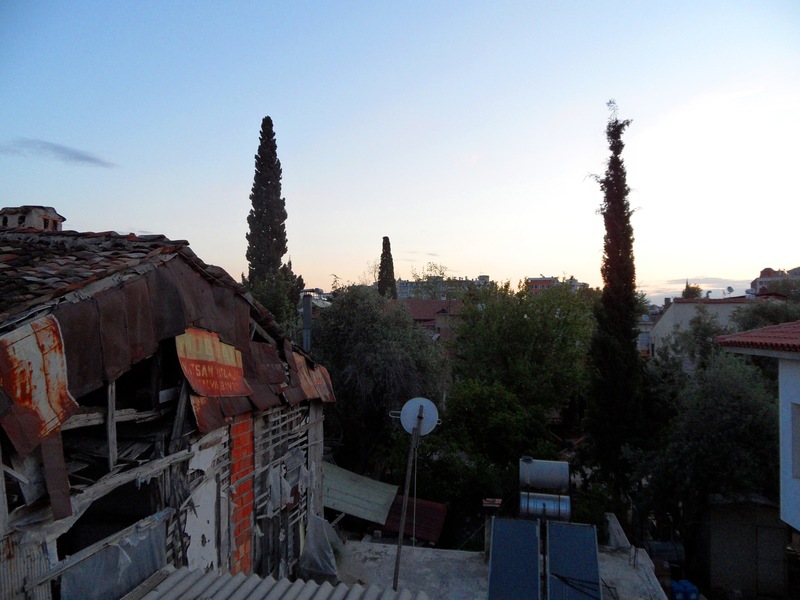 I arrived in Antalya on Friday evening, hopped a taxi from the airport and headed into the old town of Kaleici. I knew I was in the right place when I saw Hadrian’s Gate lit up against the night sky. After checking into my hotel, which was an old Ottoman house repurposed as a small B&B and museum of a small collection of Ancient Turkish artifacts, I headed out for some dinner. The streets are very narrow and mostly for walking, as only cars can go down a few of them. Little bazaars are set-up all along the streets selling everything from clothing to bottled water, apple tea, and souvenirs. The owners of the bazaar stalls are very friendly, almost too friendly, but egh they are just trying to make some business so they can close up shop for the night. I found a nice little local open air restaurant for dinner and by that time I was done for so I headed back to the B&B for some rest. At exactly 4:28am the sound of prayer reverberated through the old single paned glass Ottoman windows in my room. The nearby Karakas Mosque to the north and the Pasa Mosque to the West began the Fajr prayer through intercoms that resounded prayer throughout the entire city. It is the first prayer of the day and is thought to be God’s (or Allah’s or however else you relate to a higher power – all the same to me) most-favored prayer since all others are still asleep. I also learned that Fajr is the most essential and obligatory prayer requiring that all are congregated at the Mosque for this moment of devotion, as stillness & tranquility resides over the community. During today’s Fajr, I didn’t know how important and regimented congregational prayer is to the Turkish until I experienced the Dhuhr, Asr, Maghrib, and Isha later in the day. And each time the sound of prayer is echoed across the city or village it really does make me stop and think to myself what is meant by devotion. During Maghrib today I paused and noticed a baby porcupine foraging among a grove of lemon trees abutting the turquoise coastline. At that moment, while most are at the Mosque praying, I saw God in the lemons, porcupine, and orange blossoms. I am not yet able to fully characterize this landscape – though I see, feel, hear, touch, and taste it. 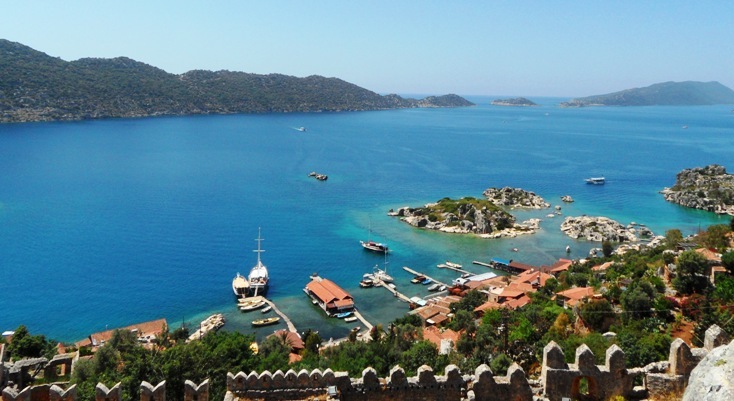 Breathtaking mountains & ocean vistas, ponderous customs, and vibrant spirituality. And not to mention the mysterious history of this rich land. The history of Turkey is as complex as it is ancient, and we are talking about some of the first human existence known to man. 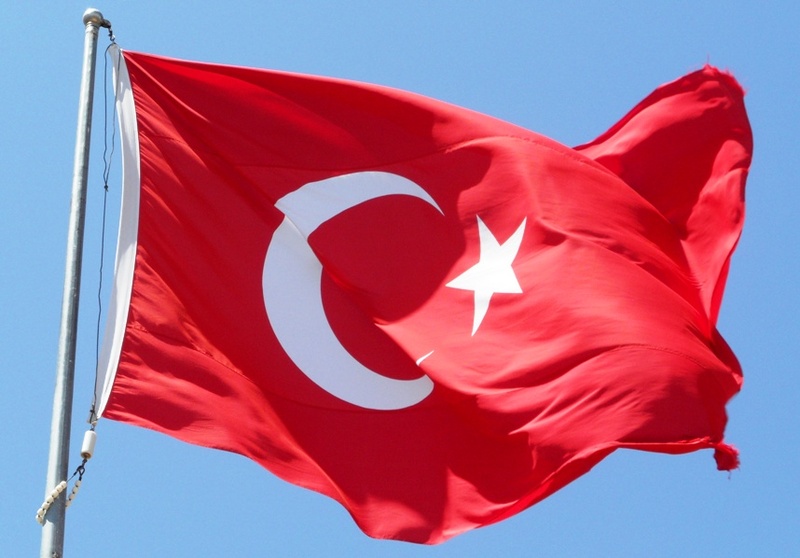 So I won’t attempt to give you a glazed over Turkish history lesson here but tid bits of Turkey’s mysticism and history have already come to life in the last 24 hours and I am sure to share more. Little did I know the true splendor that awaited me in Cirali. And that is where I found the makings for daydreams of pirate ships, lost treasure, pixies and gnomes. Think white sand & pebble beaches, crystal clear waters, rocks jetting up along each end and behind the beaches, ruins of mysterious ancient civilizations poised above the spears of coastal rocks, snow capped mountains, warm breezes, royal palm trees, and quaint groves of lemon & orange trees. And at the 5 prescribed daily times, the village Mosque recites the prayers over loud speakers. How is all this in one landscape? It’s the land of pirates and fairytales. Just lay your towel out below one of the palm thatched umbrellas on the beach, and let your mind wander. Ancient tombs to your back side. And Mediterranean oceanside caves to your right. While the sweet pungent aroma of lilacs & orange blossoms captivates your heart. And in the midst of this beauty, you are sure to find neverland in a dream or two. Goodnight.